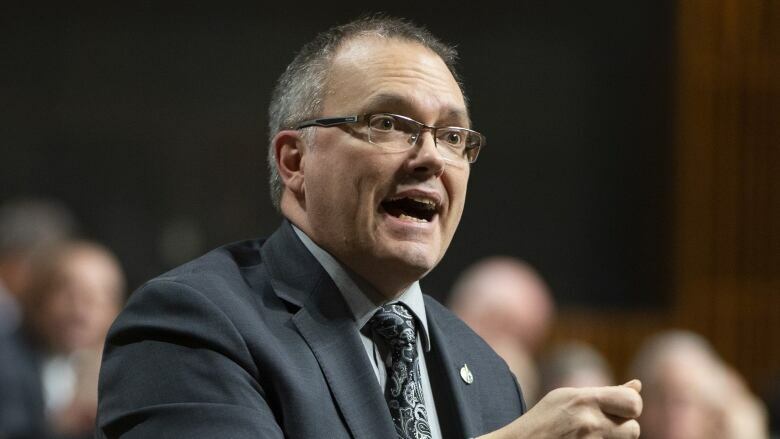 "Here in this House I said very hurtful things to the minister of National Revenue and I would sincerely apologize," said Luc Berthold, Conservative MP for the Quebec riding of Mégantic-L'Érable. "I should never have said such things in this House. They do not express my thoughts on the right to express oneself in the language of one's choice. I think this is something we should be proud of, the ability to speak in either official language." Immediately following Lebouthillier's answer, Berthold stood up and — speaking in French — prefaced his follow-up question with an attack on the minister. "We're asking in questions in English and French and all we are getting are answers in French. Hmm, that's interesting," Berthold said. Lebouthillier immediately fired back, defending her right to speak in the official language of her choice and kicking off a round of condemnations from her party that preceded Wednesday's apology. "I will always respond and say that I will never be afraid of speaking French in this chamber," she said.